This water sign's essence is Chamomile and Coconut. 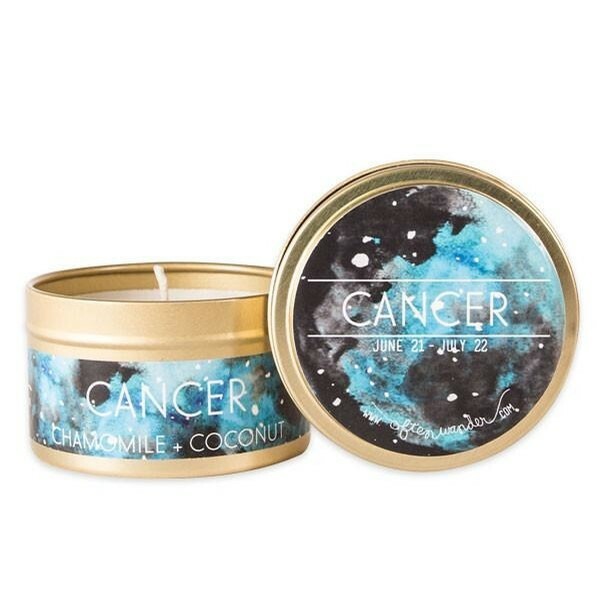 Cancers are highly imaginative, lovers of home-life, family and domestic settings, and make loyal, sympathetic friends. A soothing and sweet combination of chamomile and coconut create this rich fruity therapeutic blend that invigorates the Cancer soul. Get one for the Cancer friend/family/lover in your life.